Mobilepostech has three IBeacon. 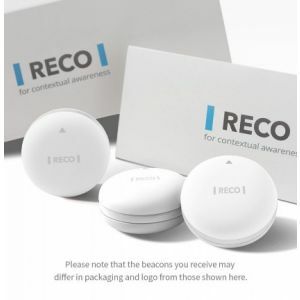 Firstly is Mini IBeacon, secondly is Mini IBeacon Silicone and the last one is RECO Beacon Starter Kit (3 Devices). Mini iBeacon has a built-in coin battery with a battery standby life of 5 years and a power switch to save energy consumption. This iBeacon measures only 33*20 mm, weighs only 25g, has a broadcasting range of 70m and is compatible with CE and FCC regulation. You can change the UUID, Major, and Minor. This is a top of the line iBeacon suitable for all your potential applications! 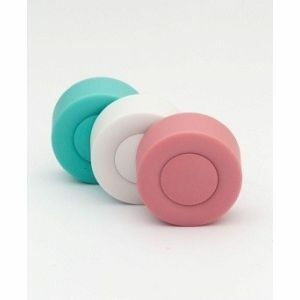 The Mini iBeacon comes in 3 great colors! The nice design of this iBeacons makes it perfect for places where you can't hide an iBeacon. This makes the iBeacon Silicone is ideal for long-term utilization or long-range applications under any condition. The iBeacon Silicone comes in a great waterproof housing with a size of 43*43*21 mm and a total weight of 35g. The iBeacon Silicone is compatible with CE and FCC regulation. 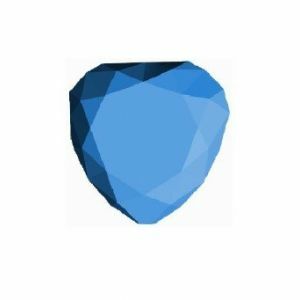 An APP( to change the UUID, Major and Minor values), as well as an SDK, are available for configuration of your iBeacons. Member Center with exclusive developer resources.